$18.00 As Low As $0.18 ea. 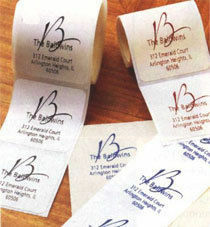 Set of square initial designer address labels. Size approximately 1.5" x 1.5". Lettering format only as shown. Your choice of white, ivory or clear labels. Also select from your favorite flat printed ink color. Positioning only as shown. 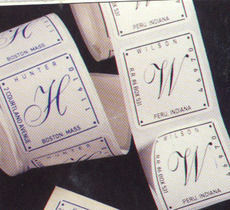 Labels presented on a roll.